The following paper is provided for free on the Internet by the authors and WCER. For more information from Kurt Squire, see the open-access article “Changing the Game: What Happens When Video Games Enter the Classroom? [https://edtechbooks.org/-oWI],” describing one of his case studies. 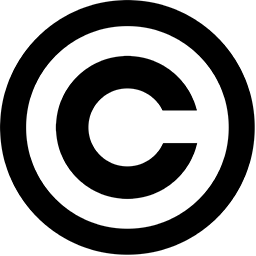 Readers may make verbatim copies of this document for noncommercial purposes by any means, provided that the above copyright notice appears on all copies. WCER working papers are available on the Internet at http://www.wcer.wisc.edu/publications/ workingPapers/index.php [https://edtechbooks.org/-bK]. The research reported in this paper was supported in part by a Spencer Foundation/National Academy of Education Postdoctoral Fellowship, a grant from the Wisconsin Alumni Research Foundation, a National Science Foundation Faculty Early Career Development Award (REC-0347000), the Academic Advanced Distributed Learning CoLaboratory, and by the Wisconsin Center for Education Research, School of Education, University of Wisconsin–Madison. Any opinions, findings, or conclusions expressed in this paper are those of the authors and do not necessarily reflect the views of the funding agencies, WCER, or cooperating institutions. Shaffer, D. W., Squire, K. R., Halverson, R., & Gee, J. P. (2005). Video Games and the Future of Learning. Computers are changing our world: how we work . . . how we shop . . . how we entertain ourselves . . . how we communicate . . . how we engage in politics . . . how we care for our health. . . . The list goes on and on. But will computers change the way we learn? We answer: Yes. Computers are already changing the way we learn—and if you want to understand how, look at video games. Look at video games, not because the games that are currently available are going to replace schools as we know them any time soon, but because they give a glimpse of how we might create new and more powerful ways to learn in schools, communities, and workplaces—new ways to learn for a new information age. Look at video games because, although they are wildly popular with adolescents and young adults, they are more than just toys. Look at video games because they create new social and cultural worlds: worlds that help people learn by integrating thinking, social interaction, and technology, all in service of doing things they care about. We want to be clear from the start that video games are no panacea. Like books and movies, they can be used in antisocial ways. Games are inherently simplifications of reality, and current games often incorporate—or are based on—violent and sometimes misogynistic themes. Critics suggest that the lessons people learn from playing video games as they currently exist are not always desirable. But even the harshest critics agree that we learn something from playing video games. The question is: How can we use the power of video games as a constructive force in schools, homes, and workplaces? In answer to that question, we argue here for a particular view of games—and of learning—as activities that are most powerful when they are personally meaningful, experiential, social, and epistemological all at the same time. From this perspective, we describe an approach to the design of learning environments that builds on the educational properties of games, but deeply grounds them within a theory of learning appropriate to an age marked by the power of new technologies. The first step towards understanding how video games can (and, we argue, will) transform education is changing the widely shared perspective that games are “mere entertainment.” More than a multibillion dollar industry, more than a compelling toy for both children and adults, more than a route to computer literacy, video games are important because they let people participate in new worlds. They let players think, talk, and act—they let players inhabit—roles otherwise inaccessible to them. A 16-year-old in Korea playing Lineage can become an international financier, trading raw materials, buying and selling goods in different parts of the virtual world, and speculating on currencies (Steinkuehler, 2004a). A Deus Ex player can experience life as a government special agent, where the lines between state-sponsored violence and terrorism are called into question. These rich virtual worlds are what make games such powerful contexts for learning. In game worlds, learning no longer means confronting words and symbols separated from the things those words and symbols are about in the first place. The inverse square law of gravity is no longer something understood solely through an equation; students can gain virtual experience walking in worlds with smaller mass than the Earth, or plan manned space flights that require understanding the changing effects of gravitational forces in different parts of the solar system. In virtual worlds, learners experience the concrete realities that words and symbols describe. Through such experiences, across multiple contexts, learners can understand complex concepts without losing the connection between abstract ideas and the real problems they can be used to solve. In other words, the virtual worlds of games are powerful because they make it possible to develop situated understanding. Although the stereotype of the gamer is a lone teenager seated in front of a computer, game play is also a thoroughly social phenomenon. The clearest examples are massively multiplayer online games: games where thousands of players are simultaneously online at any given time, participating in virtual worlds with their own economies, political systems, and cultures. But careful study shows that most games—from console action games to PC strategy games—have robust game-playing communities. Whereas schools largely sequester students from one another and from the outside world, games bring players together, competitively and cooperatively, into the virtual world of the game and the social community of game players. In schools, students largely work alone with school-sanctioned materials; avid gamers seek out news sites, read and write FAQs, participate in discussion forums, and most important, become critical consumers of information (Squire, in press). Classroom work rarely has an impact outside the classroom; its only real audience is the teacher. Game players, in contrast, develop reputations in online communities, cultivate audiences by contributing to discussion forums, and occasionally even take up careers as professional gamers, traders of online commodities, [#footnote-231-1] or game modders and designers. The virtual worlds of games are powerful, in other words, because playing games means developing a set of effective social practices. By participating in these social practices, game players have an opportunity to explore new identities. In one well-publicized case, a heated political contest erupted for the presidency of Alphaville, one of the towns in The Sims Online. Arthur Baynes, the 21-year-old incumbent, was running against Laura McKnight, a 14-year-old. The muckraking, accusations of voter fraud, and political jockeying taught young Laura about the realities of politics; the election also gained national attention on National Public Radio as pundits debated the significance of games where teens could not only argue and debate politics, but also run a political system in which the virtual lives of thousands of real players were at stake. The complexity of Laura’s campaign, political alliances, and platform—a platform that called for a stronger police force and a significant restructuring of the judicial system—shows how deep the disconnect has become between the kinds of experiences made available in schools and those available in online worlds. The virtual worlds of games are rich contexts for learning because they make it possible for players to experiment with new and powerful identities (Steinkuehler, 2004b). The communities that game players form similarly organize meaningful learning experiences outside of school contexts. In the various Web sites devoted to the game Civilization, for example, players organize themselves around the shared goal of developing expertise in the game and the skills, habits, and understandings that requires. At Apolyton.net, one such site, players post news feeds, participate in discussion forums, and trade screenshots of the game. But they also run a radio station, exchange saved game files in order to collaborate and compete, create custom modifications, and, perhaps most uniquely, run their own university to teach other players to play the game more deeply. Apolyton University shows us how part of expert gaming is developing a set of values—values that highlight enlightened risk taking, entrepreneurship, and expertise rather than the formal accreditation emphasized by institutional education (Squire & Giovanetto, in press). If we look at the development of game communities, we see that part of the power of games for learning is the way they develop shared values. In other words, by creating virtual worlds, games integrate knowing and doing. But not just knowing and doing. Games bring together ways of knowing, ways of doing, ways of being, and ways of caring: the situated understandings, effective social practices, powerful identities, and shared values that make someone an expert. The expertise might be that of a modern soldier in Full Spectrum Warrior, a zoo operator in Zoo Tycoon, a world leader in Civilization III. Or it might be expertise in the sophisticated practices of gaming communities, such as those built around Age of Mythology or Civilization III. There is a lot being learned in these games. But for some educators, it is hard to see the educational potential in games because these virtual worlds aren’t about memorizing words, or definitions, or facts. Video games are about a whole lot more. A century ago, John Dewey argued that schools were built on a fact fetish, and the argument is still valid today. The fact fetish views any area of learning—whether physics, mathematics, or history—as a body of facts or information. The measure of good teaching and learning is the extent to which students can answer questions about these facts on tests. But to know is a verb before it is a noun, knowledge. We learn by doing—not just by doing any old thing, but by doing something as part of a larger community of people who share common goals and ways of achieving those goals. We learn by becoming part of a community of practice (Lave & Wenger, 1991) and thus developing that community’s ways of knowing, acting, being, and caring—the community’s situated understandings, effective social practices, powerful identities, and shared values. Of course, different communities of practice have different ways of thinking and acting. Take, for example, lawyers. Lawyers act like lawyers. They identify themselves as lawyers. They are interested in legal issues. And they know about the law. These skills, habits, and understandings are made possible by looking at the world in a particular way—by thinking like a lawyer. The same is true for doctors but through a different way of thinking. And for architects, plumbers, steelworkers, and waiters as much as for physicists, historians, and mathematicians. The way of thinking—the epistemology—of a practice determines how someone in the community decides what questions are worth answering, how to go about answering them, and how to decide when an answer is sufficient. The epistemology of a practice thus organizes (and is organized by) the situated understandings, effective social practices, powerful identities, and shared values of the community. In communities of practice, knowledge, skills, identities, and values are shaped by a particular way of thinking into a coherent epistemic frame (Shaffer, 2004a). If a community of practice is a group with a local culture, then the epistemic frame is the grammar of the culture: the ways of thinking and acting that individuals learn when they become part of that culture. Let’s look at an example of how this might play out in the virtual world of a video game. Full Spectrum Warrior(Pandemic Studios, for PC and Xbox) is a video game based on a U.S. Army training simulation. [#footnote-231-2] But Full Spectrum Warrior is not a mere first-person shooter in which the player blows up everything on the screen. To survive and win the game, the player has to learn to think and act like a modern professional soldier. In Full Spectrum Warrior, the player uses the buttons on the controller to give orders to two squads of soldiers, as well as to consult a GPS device, radio for support, and communicate with rear area commanders. The instruction manual that comes with the game makes it clear from the outset that players must take on the values, identities, and ways of thinking of a professional soldier to play the game successfully: “Everything about your squad,” the manual explains, “is the result of careful planning and years of experience on the battlefield. Respect that experience, soldier, since it’s what will keep your soldiers alive” (p. 2). In the game, that experience—the skills and knowledge of professional military expertise—is distributed between the virtual soldiers and the real-world player. The soldiers in the player’s squads have been trained in movement formations; the role of the player is to select the best position for them on the field. The virtual characters (the soldiers) know part of the task (various movement formations), and the player knows another part (when and where to engage in such formations). This kind of distribution holds for every aspect of military knowledge in the game. However, the knowledge that is distributed between virtual soldiers and real-world player is not a set of inert facts; what is distributed are the values, skills, practices, and (yes) facts that constitute authentic military professional practice. This simulation of the social context of knowing allows players to act as if in concert with (artificially intelligent) others, even within the single-player context of the game. In so doing, Full Spectrum Warrior shows how games take advantage of situated learning environments. In games as in real life, people must be able to build meanings on the spot as they navigate their contexts. In Full Spectrum Warrior, players learn about suppression fire through the concrete experiences they have while playing. These experiences give a working definition of suppression fire, to be sure. But they also let a player come to understand how the idea applies in different contexts, what it has to do with solving particular kinds of problems, and how it relates to other practices in the domain, such as the injunction against shooting while moving. Video games thus make it possible to “learn by doing” on a grand scale—but not just by wandering around in a rich computer environment to learn without any guidance. Asking learners to act without explicit guidance—a form of learning often associated with a loose interpretation of progressive pedagogy—reflects a bad theory of learning. Learners are novices. Leaving them to float in rich experiences with no support triggers the very real human penchant for finding creative but spurious patterns and generalizations. The fruitful patterns or generalizations in any domain are the ones that are best recognized by those who already know how to look at the domain and know how complex variables in the domain interrelate. And this is precisely what the learner does not yet know. In Full Spectrum Warrior, in contrast, the player is immersed in activity, values, and ways of seeing. But the player is guided and supported by the knowledge built into the virtual soldiers and the weapons, equipment, and environments in the game. Players are not left free to invent everything for themselves. To succeed in the game, they must live by—and ultimately master—the epistemic frame of military doctrine. Full Spectrum Warrior immerses the player in the activities, values, and ways of seeing—the epistemic frame—of a modern soldier. In this sense, it is an example of what we suggest is the promise of video games and the future of learning: the development of epistemic games (Shaffer, in press). We have argued that video games are powerful contexts for learning because they make it possible to create virtual worlds, and because acting in such worlds makes it possible to develop the situated understandings, effective social practices, powerful identities, shared values, and ways of thinking of important communities of practice. To build such worlds, one has to understand how the epistemic frames of those communities are developed, sustained, and changed. Some parts of practice are more central to the creation and development of an epistemic frame than others, so analyzing the epistemic frame tells you, in effect, what might be safe to leave out in a recreation of the practice. The result is a video game that preserves the linkages between knowing and doing central to an epistemic frame—that is, an epistemic game (Shaffer, in press). Such epistemic games let players participate in valued communities of practice: to develop a new epistemic frame or to develop a better and more richly elaborated version of an already mastered epistemic frame. Developing games such as Full Spectrum Warrior that simultaneously build situated understandings, effective social practices, powerful identities, shared values, and ways of thinking is clearly no small task. But the good news is that in many cases existing communities of practice have already done a lot of that work. Doctors know how to create more doctors; lawyers know how to create more lawyers; the same is true for a host of other socially valued communities of practice. Thus, we can imagine epistemic games in which players learn biology by working as a surgeon, history by writing as a journalist, mathematics by designing buildings as an architect or engineer, geography by fighting as a soldier, or French by opening a restaurant—or more precisely, by inhabiting virtual worlds based on the way surgeons, journalists, architects, soldiers, and restaurateurs develop their epistemic frames. To build such games requires understanding how practitioners develop their ways of thinking and acting. Such understanding is uncovered through epistemographies of practice: detailed ethnographic studies of how the epistemic frame of a community of practice is developed by new members. That is more work than is currently invested in most “educational” video games. But the payoff is that such work can become the basis for an alternative educational model. Video games based on the training of socially valued practitioners let us begin to build an educational system in which students learn to work (and thus to think) as doctors, lawyers, architects, engineers, journalists, and other important members of the community. The purpose of building such educational systems is not to train students for these pursuits in the traditional sense of vocational education. Rather, we develop those epistemic frames because they can provide students with an opportunity to see the world in a variety of ways that are fundamentally grounded in meaningful activity and well aligned with the core skills, habits, and understandings of a postindustrial society (Shaffer, 2004b). One early example of such a game is Madison 2200, an epistemic game based on the practices of urban planning (Beckett & Shaffer, in press; Shaffer, in press). In Madison 2200, players learn about urban ecology by working as urban planners to redesign a downtown pedestrian mall popular with local teenagers. Players get a project directive from the mayor, addressed to them as city planners, including a city budget plan and letters from concerned citizens about crime, revenue, jobs, waste, traffic, and affordable housing. A video features interviews with local residents, business people, and community leaders about these issues. Players conduct a site assessment of the street and work in teams to develop a land use plan, which they present at the end of the game to a representative from the city planning office. The players in Madison 2200 do enjoy their work. But more important is that the experience lets them inhabit an imaginary world in which they are urban planners. The world of Madison 2200 recruits these players to new ways of thinking and acting as part of a new way of seeing the world. Urban planners have a particular way of addressing urban issues. By participating in an epistemic game based on urban planning, players begin to take on that way of seeing the world. As a result, it is fun, too. Games like Full Spectrum Warrior and Madison 2200 expose novices to the ways professionals make sense of typical problems. Other games are designed to transform the ways of thinking of a professional community, focusing instead on atypical problems: places where ways of knowing break down in the face of a new or challenging situation. Just as games that initiate players into an epistemic frame depend on epistemographic study of the training practices of a community, games designed to transform an epistemic frame depend on detailed examination of how the mature epistemic frame of a practice is organized and maintained—and on when and how the frame becomes problematic. These critical moments of expectation failure (Schank, 1997) are the points of entry for reorganizing experienced practitioners’ ways of thinking. Building the common assumptions of an existing epistemic frame into a game allows experienced professionals to cut right to the key learning moments. For example, work on military leadership simulations has used goal-based scenarios (Schank, 1992; Schank, Fano, Bell, & Jona, 1994) to build training simulations based on the choices military leaders face when setting up a base of operations (Gordon, 2004). In the business world, systems like RootMap (Root Learning, http://www.rootlearning.com) create graphical representations of professional knowledge, offering suggestions for new practice by surfacing breakdowns in conventional understanding (Squire, 2005). Studies of school leaders similarly suggest that the way professionals frame problems has a strong impact on the possible solutions they are willing and able to explore (Halverson, 2003, 2004). This ability to successfully frame problems in complex systems is difficult to cultivate, but Halverson and Rah (2004) have shown that a multimedia representation of successful problem-framing strategies—such as how a principal reorganized her school to serve disadvantaged students—can help school leaders reexamine the critical junctures where their professional understanding is incomplete or ineffective for dealing with new or problematic situations. Epistemic games give players freedom to act within the norms of a valued community of practice—norms that are embedded in non-player characters like the virtual soldiers in Full Spectrum Warrior or real urban planners and planning board members in Madison 2200. To work successfully within the norms of a community, players necessarily learn to think as members of the community. Think for a moment about the student who, after playing Madison 2200, walked down the same streets she had been on the day before and noticed things she had never seen. This is situated learning at its most profound—a transfer of ideas from one context to another that is elusive, rare, and powerful. It happened not because the student learned more information, but because she learned it in the context of a new way of thinking—an epistemic frame—that let her see the world in a new way. Although there are not yet any complete epistemic games in wide circulation, there already exist many games that provide similar opportunities for deeply situated learning. Rise of Nations and Civilization III offer rich, interactive environments in which to explore counterfactual historical claims and help players understand the operation of complex historical modeling. Railroad Tycoon lets players engage in design activities that draw on the same economic and geographic issues faced by railroad engineers in the 1800s. Madison 2200 shows the pedagogical potential of bringing students the experience of being city planners, and we are in the process of developing projects that similarly let players work as biomechanical engineers (Svarovsky & Shaffer, in press), journalists (Shaffer, 2004b), professional mediators (Shaffer, 2004c), and graphic designers (Shaffer, 1997). Other epistemic games might involve players experiencing the world as an evolutionary biologist or as a tailor in colonial Williamsburg (Squire & Jenkins, 2004). But even if we had the world’s best educational games produced and ready for parents, teachers, and students to buy and play, it’s not clear that most educators or schools would know what to do with them. Although the majority of students play video games, the majority of teachers do not. Games, with their antiauthoritarian aesthetics and inherently anti-Puritanical values, can be seen as challenging institutional education. Even if we strip aside the blood and guts that characterize some video games, the reality is that as a form, games encourage exploration, personalized meaning-making, individual expression, and playful experimentation with social boundaries—all of which cut against the grain of the social mores valued in school. In other words, even if we sanitize games, the theories of learning embedded in them run counter to the current social organization of schooling. The next challenge for game and school designers alike is to understand how to shape learning and learning environments based on the power and potential of games—and how to integrate games and game-based learning environments into the predominant arena for learning: schools. How might school leaders and teachers bring more extended experiments with epistemic games into the culture of the school? The first step will be for superintendents and public spokespersons to move beyond the rhetoric of games as violent-serial-killer-inspiring-time-wasters and address the range of learning opportunities that games present. Understanding how games can provide powerful learning environments might go a long way toward shifting the current anti-gaming rhetoric. Although epistemic games of the kind we describe here are not yet on the radar of most educators, they are already being used by corporations, the government, the military, and even by political groups to express ideas and teach facts, principles, and world views. Schools and school systems must soon follow suit or risk being swept aside. The past century has seen an increasing identification of learning with schooling. But new information technologies challenge this union in fundamental ways. Today’s technologies make the world’s libraries accessible to anyone with a wireless PDA. A vast social network is literally at the fingertips of anyone with a cell phone. As a result, people have unprecedented freedom to bring resources together to create their own learning trajectories. But classrooms have not adapted. Theories of learning and instruction embodied in school systems designed to teach large numbers of students a standardized curriculum are antiquated in this new world. Good teachers and good school leaders fight for new technologies and new practices. But mavericks grow frustrated by the fundamental mismatch between the social organization of schooling and the realities of life in a postindustrial, global, high-tech society (Sizer, 1984). Although the general public and some policy makers may not have recognized this mismatch in the push for standardized instruction, our students have. School is increasingly seen as irrelevant by many students past the primary grades. Thus, we argue that to understand the future of learning, we have to look beyond schools to the emerging arena of video games. We suggest that video games matter because they present players with simulated worlds: worlds that, if well constructed, are not just about facts or isolated skills, but embody particular social practices. And we argue that video games thus make it possible for players to participate in valued communities of practice and as a result develop the ways of thinking that organize those practices. Our students will learn from video games. The questions are: Who will create these games, and will they be based on sound theories of learning and socially conscious educational practices? The U.S. Army, a longtime leader in simulations, is building games like Full Spectrum Warrior and America’s Army—games that introduce civilians to military ideology. Several homeland security games are under development, as are a range of games for health education, from games to help kids with cancer take better care of themselves, to simulations to help doctors perform surgery more effectively. Companies are developing games for learning history (Making History), engineering (Time Engineers), and the mathematics of design (Homes of Our Own) (Squire & Jenkins, 2004). This interest in games is encouraging, but most educational games to date have been produced in the absence of any coherent theory of learning or underlying body of research. We need to ask and answer important questions about this relatively new medium. We need to understand how the conventions of good commercial games create compelling virtual worlds. We need to understand how inhabiting a virtual world develops situated knowledge—how playing a game like Civilization III, for example, mediates players’ conceptions of world history. We need to understand how spending thousands of hours participating in the social, political, and economic systems of a virtual world develops powerful identities and shared values (Squire, 2004). We need to understand how game players develop effective social practices and skills in navigating complex systems, and how those skills can support learning in other complex domains. And most of all, we need to leverage these understandings to build games that develop for players the epistemic frames of scientists, engineers, lawyers, political activists, and other valued communities of practice—as well as games that can help transform those practices for experienced professionals. Video games have the potential to change the landscape of education as we know it. The answers to fundamental questions such as these will make it possible to use video games to move our system of education beyond the traditional academic disciplines—derived from medieval scholarship and constituted within schools developed in the industrial revolution—and towards a new model of learning through meaningful activity in virtual worlds as preparation for meaningful activity in our postindustrial, technology-rich, real world. Create a rough outline of your idea for an educational video game. What would students learn? Would there be opportunities for social connection? How would you hope to see information transfer? Play a game on two different electronic platforms – iPhone, iPad, Computer, gaming console, etc – and share your thought on the educational value of the medium you used. Also share what limitations the mediums you used presents. Beckett, K. L., & Shaffer, D. W. (in press). Augmented by reality: The pedagogical praxis of urban planning as a pathway to ecological thinking. Journal of Educational Computing Research. Gee, J. P. (in press). What will a state of the art video game look like? Innovate. Gordon, A. S. (2004). Authoring branching storylines for training applications. In Y. Kafai, W. A. Sandoval, N. Enyedy, A. S. Nixon & F. Herrera (Eds. ), Proceedings of the Sixth International Conference of the Learning Sciences (pp. 230–238). Mahwah, NJ: Erlbaum. Halverson, R. (2003). Systems of practice: How leaders use artifacts to create professional community in schools. Education Policy Analysis Archives, 11(37). Halverson, R. (2004). Accessing, documenting and communicating practical wisdom: The phronesis of school leadership practice. American Journal of Education, 111(1), 90–121. Halverson, R., & Rah, Y. (2004). Representing leadership for social justice: The case of Franklin School. Under review by Journal of Cases in Educational Leadership. Schank, R. C. (1992). Goal-based scenarios (Technical Report No. 36). Evanston, IL: Northwestern University, The Institute for the Learning Sciences. Schank, R. C. (1997). Virtual learning: A revolutionary approach to building a highly skilled workforce. New York: McGraw Hill. Schank, R. C., Fano, A., Bell, B., & Jona, M. (1994). The design of goal-based scenarios. Journal of the Learning Sciences, 3, 305–345. Shaffer, D. W. (1997). Learning mathematics through design: The anatomy of Escher’s World. Journal of Mathematical Behavior, 16(2), 95–112. Shaffer, D. W. (2004a). Epistemic frames and islands of expertise: Learning from infusion experiences. In Y. Kafai, W. A. Sandoval, N. Enyedy, A. S. Nixon, & F. Herrera (Eds. ), Proceedings of the Sixth International Conference of the Learning Sciences (pp. 473–480). Mahwah, NJ: Erlbaum. Shaffer, D. W. (2004b). Pedagogical praxis: The professions as models for post-industrial education. Teachers College Record, 106(7), 1401–1421. Shaffer, D. W. (2004c). When computer-supported collaboration means computer-supported competition: Professional mediation as a model for collaborative learning. Journal of Interactive Learning Research, 15(2), 101–115. Shaffer, D. W. (in press). Epistemic games. Innovate. Sizer, T. R. (1984). Horace’s compromise: The dilemma of the American high school. Boston: Houghton Mifflin. Squire, K. (2004). Sid Meier’s Civilization III. Simulations and Gaming, 35(1). Squire, K. (in press). Game cultures, school cultures. Innovate. Squire, K., & Giovanetto, L. (in press). The higher education of gaming. eLearning. Squire, K., & Jenkins, H. (2004). 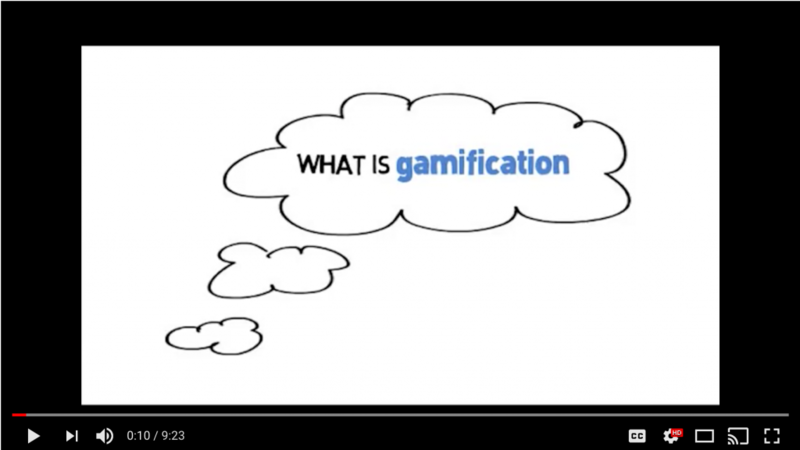 Harnessing the power of games in education. Insight, 3(1), 5–33. Steinkuehler, C. A. (2004a, October). Emergent play. Paper presented at the State of Play Conference, New York University Law School, NY. Video Games and the Future of Learning 13 Steinkuehler, C. A. (2004b). Learning in massively multiplayer online games. In Y. Kafai, W. A. Sandoval, N. Enyedy, A. S. Nixon & F. Herrera (Eds. ), Proceedings of the Sixth International Conference of the Learning Sciences (pp. 521–528). Mahwah, NJ: Erlbaum. Svarovsky, G., & Shaffer, D. W. (in press). SodaConstructing knowledge through exploratoids. Journal of Research in Science Teaching. Dr. David Shaffer was born in New York City, New York. He is currently a professor of educational technology at the University of Wisconsin–-Madison. He received his M.S. and Ph.D from the Massachusetts Institute of Technology’s Media Laboratory. Prior to joining the University of Wisconsin–Madison, Dr. Shaffer taught grades 4-12 both in the United States and abroad. 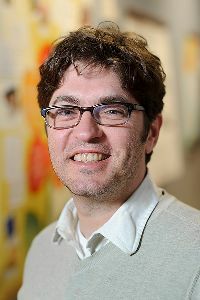 Dr. Shaffer is best known for his research involving computer games and learning. In 2008, he founded an educational game development and consulting firm known as EFGames, LLC. 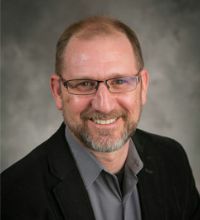 Dr. Richard Halverson is a professor at the University of Wisconsin-Madison School of Education where he teaches in the Department of Educational Leadership and Policy Analysis. He is a fellow at the Wisconsin Institute for Discovery. He is also a former high school teacher and administrator. Dr. Halverson received his PhD in the learning sciences from Northwestern University. Dr. Kurt Squire is a professor of digital media in the Department of Curriculum & Instruction at the University of Wisconsin-Madison. 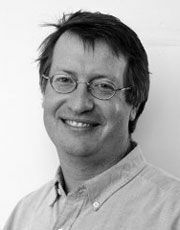 He is also the co-director of the Games+Learning+Society Center in the Wisconsin Institute for Discovery. 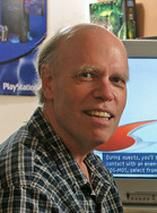 His research focuses on game-based learning and its implementation in educational systems. He was formerly research manager of the Games-to-Teach Project at MIT, co-director of the Education Arcade, columnist for Computer Games magazine, and co-founder of Joystick101.org. Dr. Squire received his PhD in instructional systems technology from Indiana University.